Since posting two in-depth reviews about the new Sonicbids EPK system (“An Honest Review” and “Review part 2”), I’ve had offers through tweets, emails, and chats by the company to talk to their Chief Technology Officer (CTO) and VP of Engineering about how the site/migration can be improved. I’ve experience many problems and multiple representatives have assured me to “wait a few hours” for my missing content to appear, that someone will call. It’s been a week and neither the content appeared nor has there been attempted contact. However, I’d like to point out several major areas that would immediately improve the Sonicbids’ EPK. In my next post, I’ll offer reviews and links to other options that bands have if they are unhappy with Sonicbids. There is a count for number of “likes” or followers on Facebook, but not Twitter. If a “fan count” is going to be displayed at all, it should either offer all options combined (total Facebook, Twitter, YouTube, etc.) or at least have links to the accounts actually used or preferred by the artist. The “Happening Now” tiles are automatically created but there’s no way to select the images or type of content that appears. If there was an option to manage these tiles, artists could get creative and create a mural or at least not have the same images repeated over and over again. The music player is on the bottom, below “the fold.” Bring it back up – it should be on top, since it is arguably the most important part of a band. The “Happening Now” infers a social media feed of sorts but isn’t actually fed with items that are really happening at the moment – tweets, new video uploads, upcoming shows, newest press reviews, etc. It only has images and songs. In my EPK, it chose the oldest song I have uploaded for no apparent reason. The “Happening Now” should not include any new profile photo uploaded since profile images require a low resolution in order to be accepted. When it is loaded onto the front page, it gets distorted and looks awful. Reduce the emphasis on Facebook comments. Sonicbids pages are generally made as a press kit, not a destination for fans. Considering how metrics for Facebook are falling, over-reliance on for engagement is a mistake anyway. The “share” option for Twitter doesn’t generate a tweet. It requires activating an API/installing an app to a person’s Twitter profile, which creates additional steps for sharing. No one wants to deal with that. The option to read a song’s lyrics should be here (even if only as a hyperlink or pop up window). It makes more sense to have lyrics by the song than under the “About” section. Stop including the profile image. Again, that’s a low-resolution image that looks like garbage here. Drop the “comments” or “share” option. Like the music page, if this is geared for industry, promoters don’t care much about comments. If they actually cared about comments, they’d visit the Facebook profile itself. Add an option to download a high resolution print-quality copy of the photo. That’s more important for a press kit than a comments section. Adjust the primary image size so that the other elements are above the fold. 4. How Sonicbids Can Improve the “About” Section. This is everything that is asked of you under the “Edit Band Information” in your dashboard. Now, lyrics for every song will appear above your actual press reviews. Despite saving my discography multiple times, it continues to remain blank. Also, despite having press reviews in my dashboard entered in, they fail to show in the public profile. Begin with the short description. Arguably, this is more interesting and important that the full biography. For some reason, it is now listed as “More Information,” when it’s just a more concise version of the biography. Allow collapsable sections in an accordion style so that users don’t have to continuously scroll down in order to see what other sections are available. Move lyrics as an option under the songs listed in the “Music” section. Allow artists to embed some images in this area or have a widget that can change the layout. Right now, it is an uninteresting sea of text. Give greater priority to press reviews – for example, make them visible. Right now, that section is missing from the public profile. Allow videos to be embedded, don’t require them to be uploaded. In the “show calendar” section, don’t just list “location” (which seems to imply the city and state). In the “Gigs” section, allow gigs to be searched by those newly listed. Right now, Sonicbids has the distinct advantage of being one of the only ways to apply for some select opportunities, like SXSW and CMJ. But this is changing. ReverbNation Pro and a few other sites are incorporating more opportunities that artists can submit their EPK’s too. If Sonicbids is going to sell their service as the premiere EPK service for bands, they need to focus on delivering the elements of a true EPK system. While the images on the front page are more striking, they are distracting and don’t provide the critical information that promoters need when looking at artists. Perhaps Sonicbids needs to look at Myspace music profiles circa 2005 and remember the main things promoters actually need in a simple layout that is easy to navigate – like the old Sonicbids system. Unfortunately, it seems that they are more keen on integrating social or other elements that don’t actually serve to benefit artists who want a vibrant, functioning press kit. How to Get Gigs on Sonicbids and How to Get Better Results From Sonicbids Submissions. Simon, I have to say I agree with these changes. The way the EPK is set up now, it looks as if everything is all over the place. The lyrics absolutely should be with the music, and they ought to allow us to put our best tracks first as opposed to a random shuffling of your library. Why put the lyrics with the bio? Why leave the “elevator pitch” last when they were the ones who encouraged us to make one to begin with? It’s insanity. 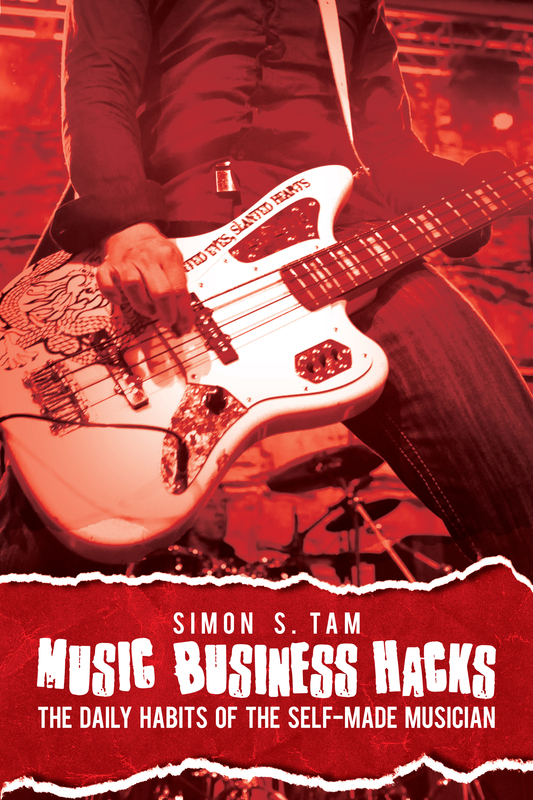 Sonicbids needs to hire you, immediately. Honestly, I didn’t read all of your suggestions, but if Artist section is as screwed up as the Promoters section, then obviously all the kids at Sonicbids have gone out to play and no one has come back from recess yet! As a promoter, we were just about ready to contact all the bands (24 in total) that we needed to book for our festival, and without any advance notice Sonicbids did this migration thing to a new site and now we can’t find our information nor and when we do it’s not very functional. I have 24 bands I’m trying to reach and offer them a playing gig and can’t access their EPK’s, emails, nothing! All the F’n work we’ve put into the selection process for over the past 2 months, worthless. Wait, I think I just described the new definition of Sonicbids – WORTHLESS!!!!!!!!!!!!!!!!!!!!!!!!!!!! I also have a promoter account and lost hundreds of submissions as well. I did talk to the folks at Sonicbids and they said they’re still working on capturing data, even if their communications efforts to account holders has not been successful. I definitely wish there was improvement on the communications end. Similar here. Have you found an alternative yet? I’d be interested to hear who you are considering using. Thanks! Thank you. A well balanced assessment. I’d be interested to hear your recommendation for an alternative please? thanks.